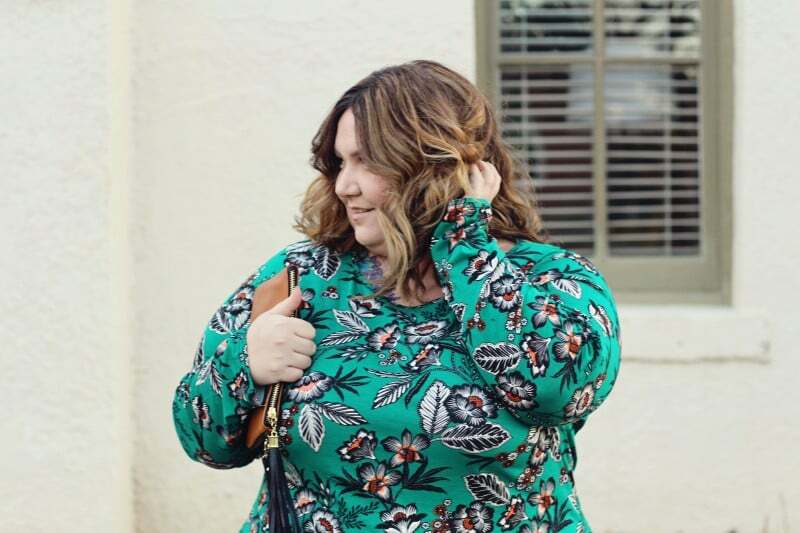 Will That Plus Size Clothing Line Fit Me? I refuse to put my thighs away. Like, I don’t care if it’s 10 degrees outside, I just need my legs out. It turns out that’s not a really great decision, because I’m cold a lot, but I’m not backing down. How cute would this outfit be with black leggings though? I hadn’t considered that when I adamantly decided my legs got to be free. Hindsight, ya know? This dress is from Boohoo.com. 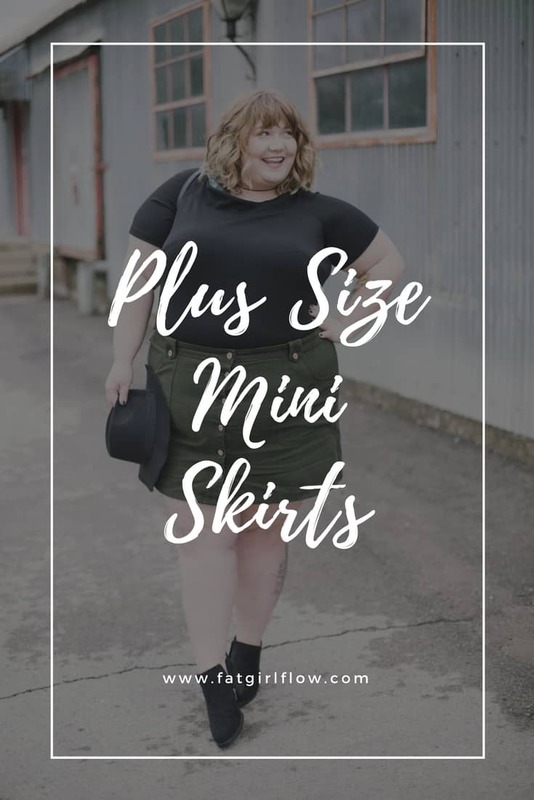 I was a bit hesitant to try them out several months ago, because their plus size clothing line only goes up to a size 20. I started by just trying a couple over-sized shirts, then I stepped it up and tried out this dress. I was in love. I definitely can’t fit into everything in their plus size line, but their knit dresses are always soft and stretchy and my size 26 frame has no problem fitting in them. I’ve learned over the years that sizes are great, but I use them more as a guideline than a rule for what I can buy. I know my body, I know how I am shaped, and it’s become pretty easy to look at a piece and think “oh yeah, there’s a little extra room there in the belly I think I could get in that!”. It takes practice (and boy do I love practicing), but a little dedication to online shopping has made it second nature for me. Hopefully, my experience with companies like this can help all of you try out places you wouldn’t have previously considered, too! My advice when trying out new places, or trying to shop at places that you may need to size down for, is to be mindful of the material. Check the product description and see if it’s a knit fabric, which will allow it to stretch. Stay away from woven fabrics if you think you’ll need a little stretch. Also pay attention to whether or not they tell you what size the model is wearing. 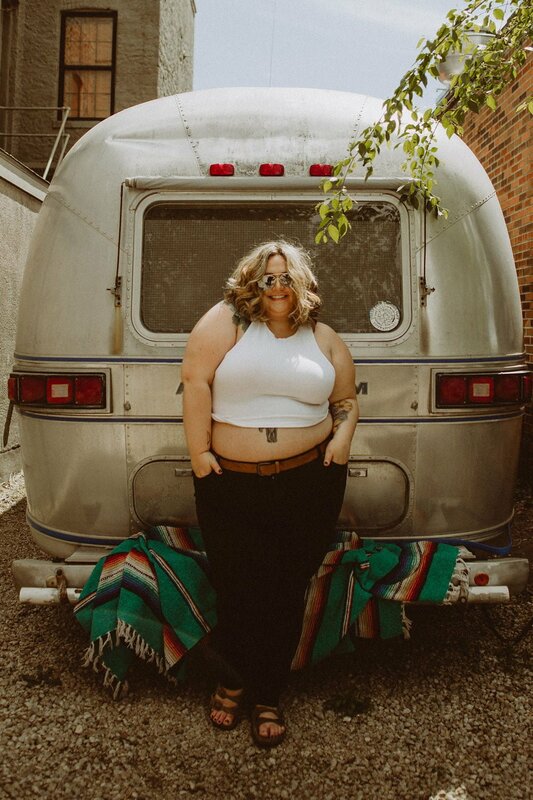 Most plus size models are a size 12 or 14, so if the model is wearing a 1x, and the line goes up to a 3x then the size 3x is likely around a size 20. 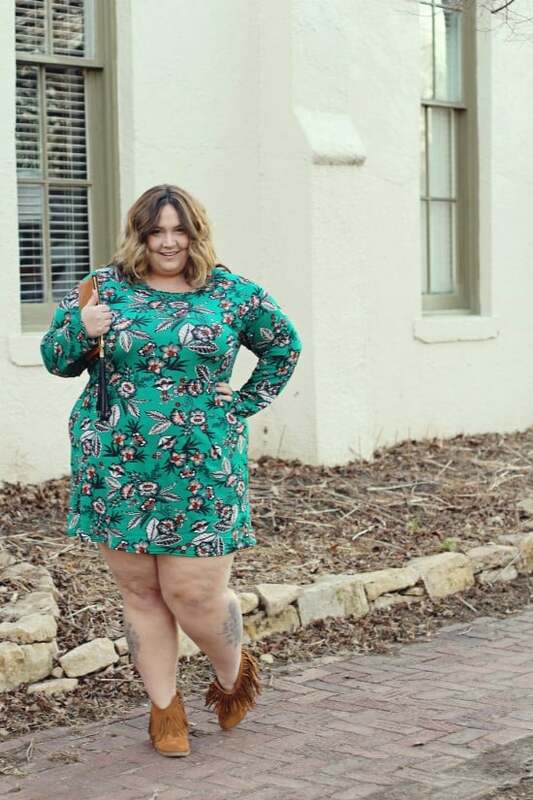 If the piece the model is wearing is very large on them, then it’s likely that it will fit a size 22 or 24, but may be more snug. The most important part of trying new plus size clothing lines? Check their return policy! See how easy it is to return things, and commit to making that quick trip to the post office if it doesn’t work out. You don’t want to have clothes that don’t fit you in your closet, that’s just annoying. Be prepared for the possibility that something may not fit, and be nice to yourself about it. You know it’s an experiment. If it doesn’t fit, that’s ok. You’re still perfect. 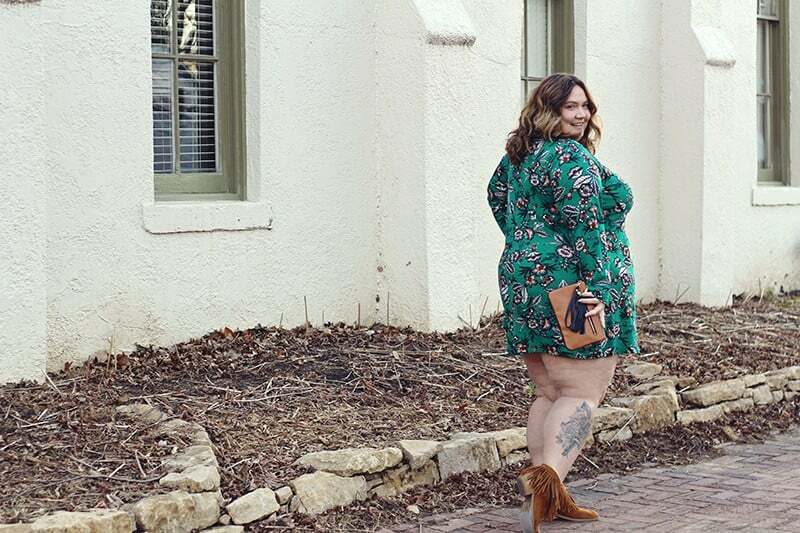 Next time you’re on instagram, let that company know you love their clothes but dang, you sure wish they made a couple sizes larger! You’re awesome and you’ve inspired me to try some new-to-me lines which is very exciting! I’ve been stuck in an Old Navy/Target Plus/thrift store rut for a while. I’m checking out Rainbow this weekend because I was so in love with your pieces from there. Thank you so much! I find this is where I have a HUUUUGE problem in Canada. So many cute online US stores, but I can’t afford shipping, duties and then to pay to return them when they don’t fit. Right now I’m basically stuck with one maybe two stores I can shop at, it’s such a pain. Also, speaking of soft, stretchy knits, have you tried anything from SWAK Designs? I’ve ordered a couple of things from them recently that I’ve really liked! Yes!!!! I think I’m going to do a haul with them very soon!!!! That print is beautiful! Your tip about the model is great. I never thought of it that way! I just discovered eshakti online which goes up to 36, or, and, wait for it… Will customize every piece in their line to your specific measurements. Which, is awesome for so many reasons. Clothing is super cute, elegant, trendy, and very reasonable in price. Check it out. I’ve ordered two party skirts, a velvet gown, and two fun tops. They all fit perfectly.